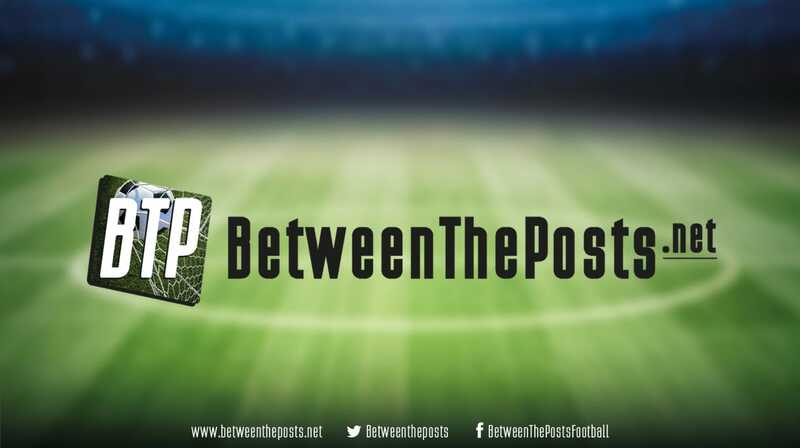 Welcome to the weekend primer of Between the Posts, where we preview the matches that will be covered during this weekend, including a little preview of these matches. The German Bundesliga and the Italian Serie A return to action after the winter break, so we’ve got the full house of top five leagues to pick from. The weekend kicks off with TSG Hoffenheim hosting Rekordmeister Bayern Munich. The home side are in a battle for a top four spot in the Bundesliga, with stern competition from high-flying Eintracht Frankfurt and a surprising Wolfsburg. 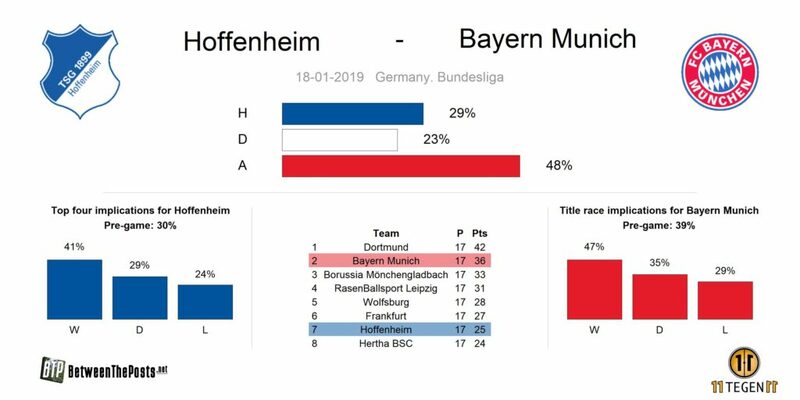 Hoffenheim have significantly better underlying numbers, as per our stats page, so they should be the main challengers for Gladbach and RB Leipzig. A win over Bayern would increase their chances of making the top four to a hopeful 41 percent. Usually, at this stage of the season, the questions surrounding Bayern Munich are more when they will be crowned champions, rather than if they will. Not this season, however. 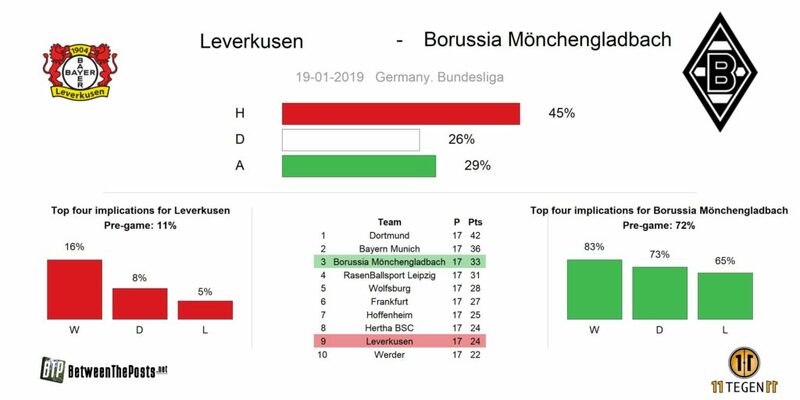 An early season crisis – admittedly more in terms of results than in underlying numbers – has even made Bayern second favorites, behind Dortmund, who they trail by a significant six points. An away win over Hoffenheim is far from guaranteed in this tricky fixture, but it would give them more or less an equal chance of retaining their Bundesliga title. Despite winning the last two games before the winter break, Bayer Leverkusen decided to part ways with manager Heiko Herrlich. The six points taken from their last two matches are still there though, and it leaves Leverkusen ninth in the Bundesliga table. Herrlich’s successor – former Borussia Dortmund manager Peter Bosz – has an incredible amount of young talent to work with, most notably in the form of Kai Havertz, Jonathan Tah and Julian Brandt.The Dutchman Bosz is known for a brand of football based on positional play and pressing, in line with his big inspiration Johan Cruijff. When Bosz already was a professional football player himself at Vitesse Arnhem, he bought a season ticket to watch Cruijff in the final stage of his career, as a player at Ajax. Back to the present. Leverkusen’s first match under Bosz’ reign will be against Borussia Mönchengladbach, who are having a very good season. They have quite some pace and trickery up top in the form of Thorgan Hazard and Alassane Pléa, which can be the kryptonite against the high defensive line Bosz usually wants his teams to play with. Interesting times ahead! Real Madrid and Sevilla go into this game level on points, but the contrast in perception of either team’s season could not be bigger. Expectations were high in Madrid this summer – as they always are – with Julen Lopetegui taking charge, bringing a ‘counterpress and possess’ style of play. However, simultaneously one Cristiano Ronaldo departed for Turin, and the team so far failed to fill the void in terms of offensive output. Lopetegui was fired and replaced by Santiago Solari, who installed a more aggressive press and a clear focus on wing play. However, a short ‘honeymoon period’ with improved results – including winning the Club World Cup – has clearly been overshadowed by dramatic performances and dito results against Eibar, Real Sociedad and most recently, Leganés. Sevilla were riding high this season, but a recent drop in results saw them pick up just a single point from the last two LaLiga matches. 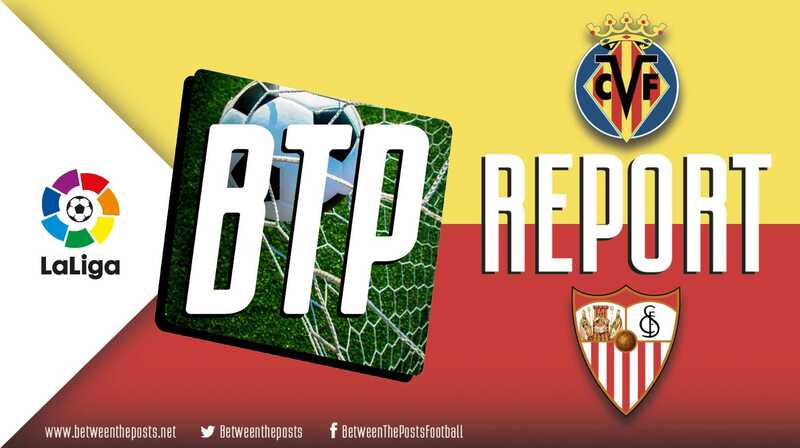 Talk of a title challenge has numbed, and Sevilla are suddenly busier defending their top four spot, than looking upwards to improve their position in the table. Underlying offensive numbers have been impressive, but the defensive numbers rank only mid-table. 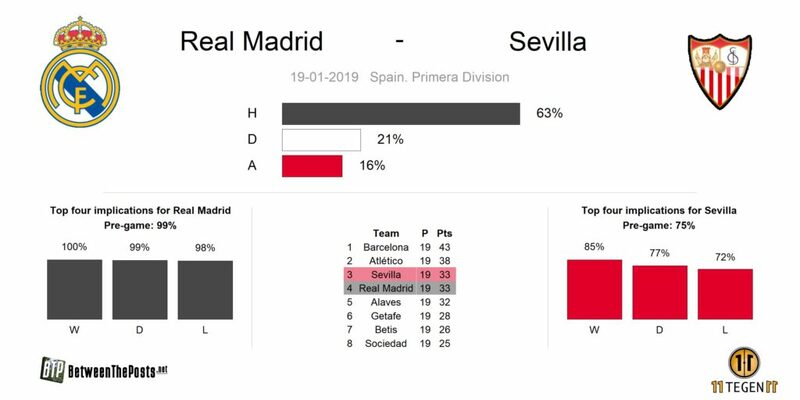 It’s very interesting then to see if Real Madrid’s stuttering offense can pick up against Sevilla’s vulnerable defense. This is a crucial match-up to determine the shape of the Premier League top four race. With both teams having appointed new managers this past summer, there is a look to look out for. 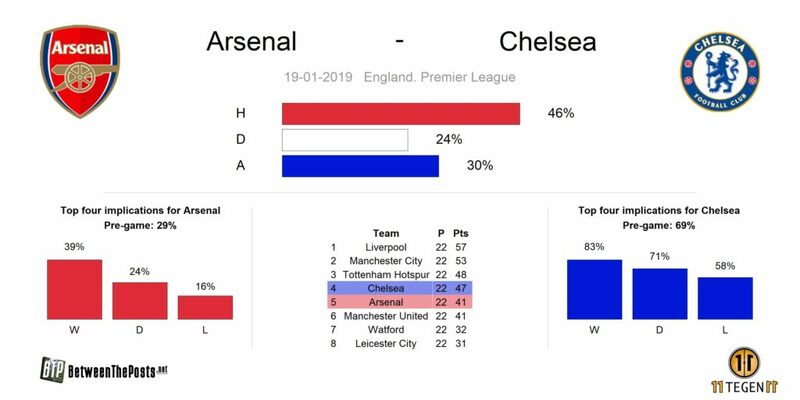 On one hand, the longer term interest is undoubtedly served by investing in a proper transition season – Arsenal away from the Wenger era, Chelsea towards more possession dominance under Sarri. On the other hand, there is never a minute to waste in terms of results, in order not to miss out in the all-important race for Champions League qualification. A failure to reach that target does not just have financial implications, but it will have a significant impact on player recruitment options, and as such, on the quality of the transitions that both clubs are trying to complete at the moment. Just how big of an impact a single game can have for the prospects of making the top four becomes clear from the plot below. 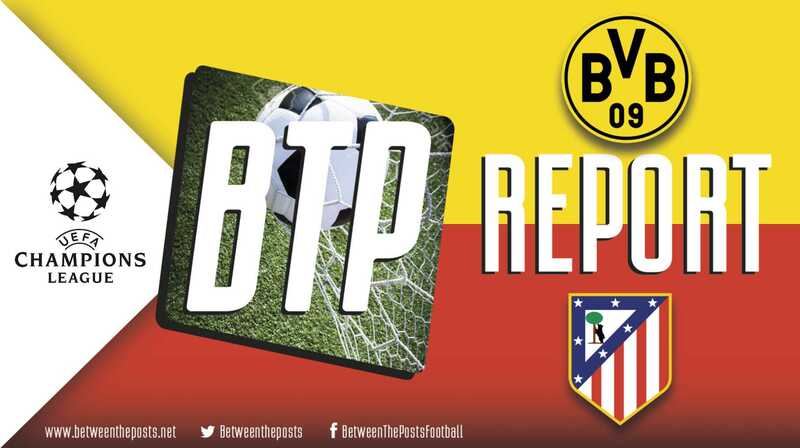 The third game from Germany we will be covering this weekend, welcome back Bundesliga! All clubs surely will have had a great training camp, with great pitches, a great accommodation and a fantastically bonding squad. It will be all quickly forgotten however, the moment a team loses its first game after the winter break. 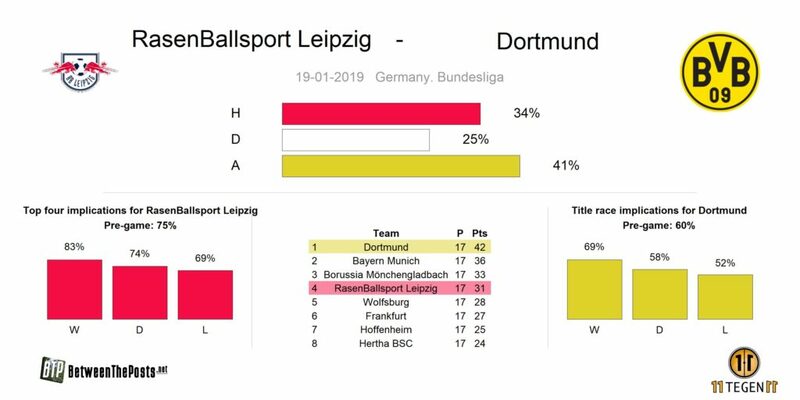 Arguably the most attractive match of the first Bundesliga weekend of 2019 will be RasenBallsport Leipzig against Borussia Dortmund. Number one versus number four, the old master of pressing and high tempo Ralf Rangnick against Lucien Favre’s uniquely flavored Dortmund, which plays at a bit slower tempo at the back before relentlessly upping the speed. Will Rangnick attempt to press Dortmund and set up a mid-block? A medium block refers to a team that retreats in their own half out of possession, generally only disrupting their opponents some way into their own half. Or press them higher up the field harder, with the risk of leaving Dortmund’s quick attackers Jacob Bruun Larsen and Jadon Sancho in acres of space at the back? If you like an interesting tactical battle, you should probably watch this one. Another match, another manager that makes his first appearance. Now that David Wagner has left Huddersfield Town – by ‘mutual agreement’ – Under- 23’s coach Mark Hudson will be the interim manager against English champions Manchester City. How do you stop Pep Guardiola’s footballing machine? Well, in the last six weeks or so, simply setting up shop and forming an extremely low defensive block A defensive block is the compact group of defenders that defends a particular zone, either their own half in a medium defensive block, or the zone around their own box in a deep defensive block. might just be the thing for you, as City has not been as dominant as they can be, especially away from home. Arguably one of David Wagner’s best qualities as a manager was that he was able to come up with ways of pressing the opponent higher up the field when possible, without losing the defensive cover at the back. 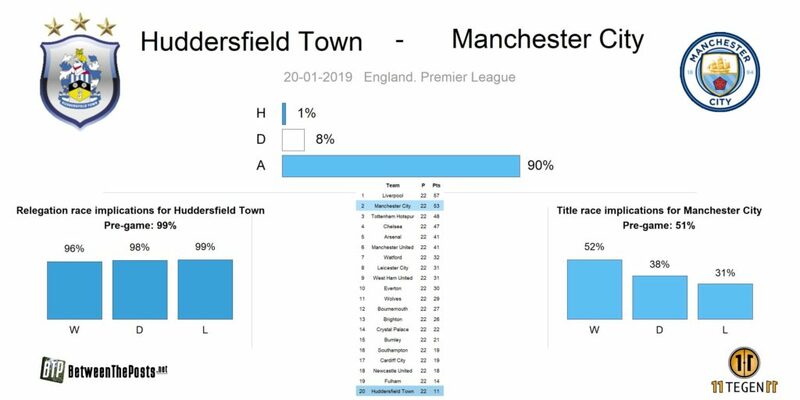 The defensive side of things have not been the major problem so far this season; it has been the offense, as Huddersfield have the worst underlying offensive statistics of the league. A nice Serie A top-six brawl on Sunday evening! 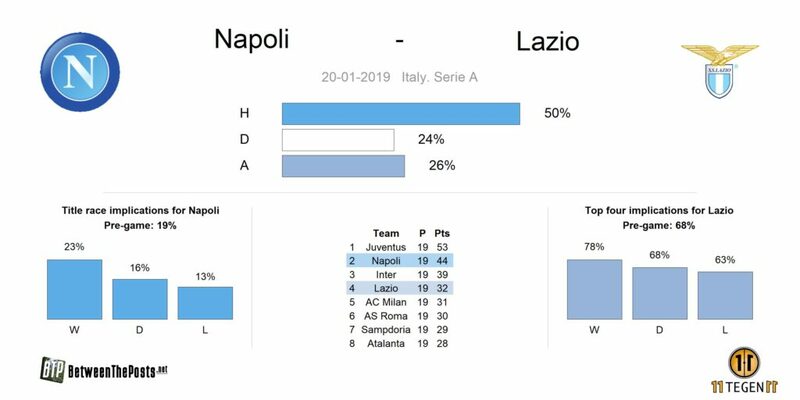 Napoli are clearly on their way to retaining the best-of-the-rest title – which should really be a prize in Italy – currently maintaining a five point lead over number three Internazionale. All of Lazio’s matches against Juventus, Internazionale, Napoli, AS Roma and AC Milan have been lost or drawn, including the first match between these two sides in August, when Napoli snuck away from Rome with a 1-2 victory under their belt. Don’t sleep on Saint-Étienne. They are one of the best offensive sides of France. Because their defense can be leaky, most games are fun to watch. 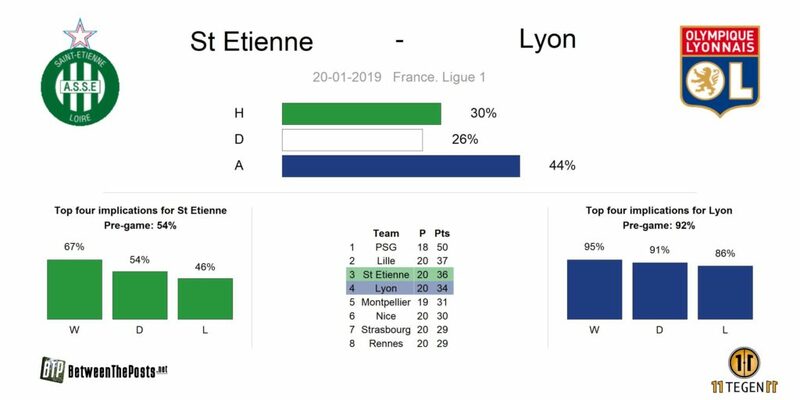 Saint-Étienne are yet to lose a game in 2019, winning two Ligue 1 matches – including a nifty 2-1 over Marseille – and one for the Coupe de la Ligue. Their opponent Lyon should be warned, therefore. Regular readers of Between the Posts know what is going on at Bruno Génésio’s team so far this season. Great players – some of them destined for European top clubs – that produce the odd flash of fantastic football, while at times, nothing seems to pop due to their sheer unorganized way of playing. Recently, a 3-4-2-1 system was put into place, which brings the best out of left back Ferland Mendy, but leaves the right flank a bit of a worrisome place, as neither Kenny Tete nor Léo Dubois can provide what is needed offensively, while nominal starting right back Rafael is injured. Most football matches find attractivity in unpredictability, but few will doubt that Juventus will beat Chievo at home. Rather than watching to see which team will win, this match might prove a good occasion for a detailed study on how they do it. How does Juventus keep breaking down the challenges put forth by a deep defensive block? Obviously, Juventus have far superior players. Besides that, they make excellent use of the supplementary qualities of their front three, who all possess very different qualities, that nonetheless work in excellent harmony. Cristiano Ronaldo, at 33 years of age, still proves a physically imposing presence and offers shot volume in whatever match he plays. Mario Mandžukić provides a tremendous energy and work rate, besides adding to the physical power and aerial threat. And finally, Paulo Dybala provides a lot of movement and positional freedom, and is capable of unlocking defense with his passing. Sometimes the beauty of a spectacle is in how in near unavoidable will take place.